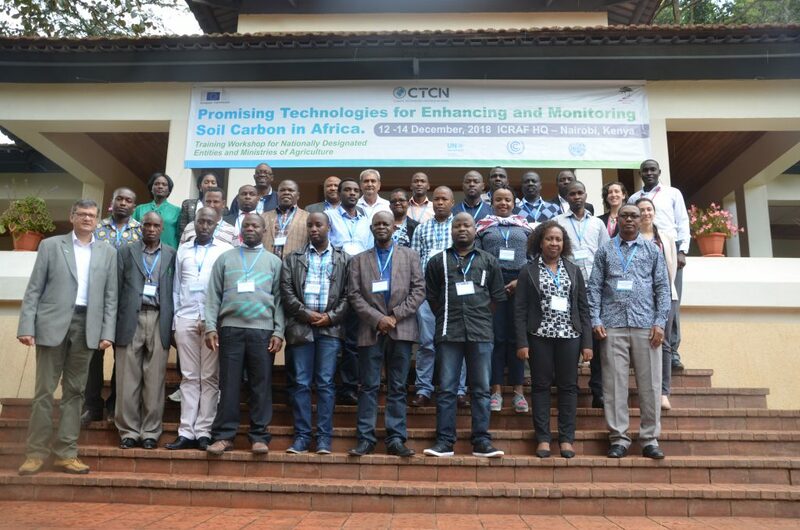 The Climate Technology Centre and Network (CTCN) and World Agroforestry (ICRAF), supported by the European Commission, held a capacity-development workshop on technologies for soil-carbon enhancement in African countries, 12–14 December 2018 in Nairobi, Kenya. The objectives were to help participants better understand the global carbon cycle; the basic concepts of soil-carbon sequestration and the challenges for improving sequestration; the latest technologies for enhancing soil carbon-stock; state-of-the-art, soil-carbon monitoring tools and approaches at field, farm, district, provincial and national levels of relevance to nationally determined contributions (NDCs) to international climate agreements; and how to access knowledge resources. The 26 participants came from 14 countries, including CTCN national designated entities and the ministries of Agriculture of Botswana, Ethiopia, Kenya, Lesotho, Malawi, Mozambique, Namibia, Uganda, Rwanda, South Sudan, Swaziland, Tanzania, Zambia and Zimbabwe. Sequestration of carbon in soils plays a key role in climate-change mitigation yet accelerated agricultural development, deforestation and land degradation are contributing to a depletion of soil carbon. Sequestration presents a ‘win-win’ solution for mitigation and for increasing resilience. Carbon-rich soils are healthy soils, increasing fertility, reducing erosion, enhancing water retention and enabling greater resilience to extreme weather variations. 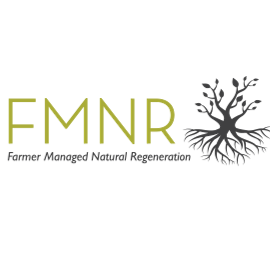 Some of the technologies available in Africa with potential to enhance soil carbon-stock include application of biochar, agroforestry, farmer-managed natural regeneration, organic agriculture, use of area closures and reserves, conservation agriculture and climate-smart agricultural practices. Participants were also exposed to advanced approaches to monitoring and visualizing carbon stock.